Roger Sanchez brings his weekly show Release Yourself to 91.5 & 102.5 FM Phuket Island Radio every Wednesday night from 10pm. Wikipedia tells us that Roger Sanchez was born June 1, 1967 and is an American house music DJ, Remixer and Grammy Award Winner. The Grammy coming from his remix of “Hella Good” by No Doubt in 2003. Roger is a four-time DJ Awards winner for “Best House DJ” in 1999, 2002, 2004 and 2007 and has received twelve nominations in all. He won the first International Dance Music Award for Best Podcast in 2007 and has received 8 IDMA nominations for Best American DJ (2003–2010). Sanchez began to play nightclubs in New York City, and later around the world. Along with fellow New York house DJs Erick Morillo, David Morales and Danny Tenaglia, Sanchez has become well known in the European club circuit, especially on the Spanish island of Ibiza. Since 2000 Sanchez has played this European Island and at some of the biggest superclubs on The White Isle, including Pacha, Space and Amnesia. His newest label, UNDR THE RADR, has Sanchez poised to push himself ahead of the pack again with the revival of the S-Man name. Roger is the founder of his first label in 2002, Stealth Records. Yearly, Sanchez curates a series of compilation albums called Release Yourself, which are known for their blend of deep house, Latin, tribal and tech sounds. Hosting a weekly terrestrial and online radio show called Release Yourself, with 15 million listeners worldwide. Along with the radio show, Sanchez hosts a bi-weekly podcast, distributed internationally. “We are very excited to have Roger and Release Yourself to add to our stellar line of international DJ’s” says Byron Jones Marketing Manager at Phuket Fm Radio. 91.5 and 102.5 FM Phuket Island Radio are delighted to have Roger Sanchez and his show Release Yourself with us for 2018. Each and every week online via our radio player and through the iPhone and Android mobile applications. There’s more information about Phuket FM Radio here and the DJ line up can be found here. Tune in Wednesday night on 91.5 & 102.5 FM Phuket Island Radio from 10pm – midnight to hear Release Yourself with Roger Sanchez. 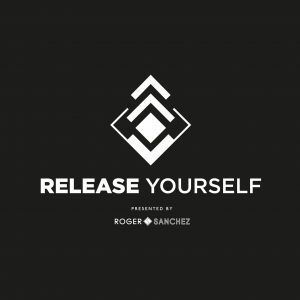 Read the Latest News from Roger Sanchez and his show Release Yourself.